Craving some good, quality street food? 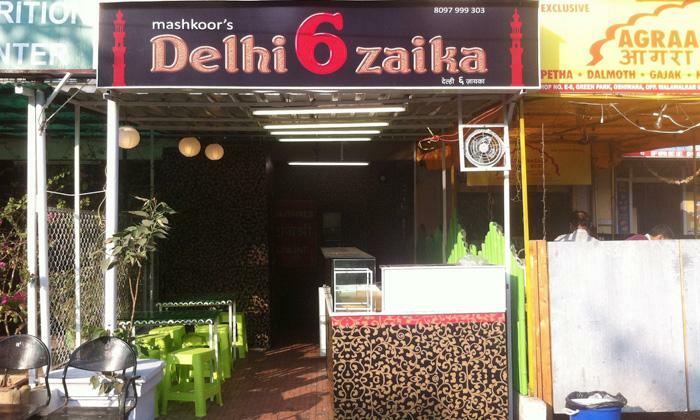 Head to Mashkoor's Delhi 6 Zaika located in Oshiwara, Andheri West. Featuring a cosy, minimalist ambiance with bright green furniture, the restaurant gives off a relaxed, fun vibe. Choose from their wide range of Mughlai and North Indian and street food and enjoy a flavourful and healthy meal. The perfect hangout spot for you and your entire lot,Mashkoor's Delhi 6 Zaika is just the place to grab a quick bite!